Coloured Bound Gravel Systems are ideal for creating logos and designs within playgrounds, swimming pool surrounds, courtyards and other pedestrian schemes. A range of 14 standard colours are available, however, we can match RAL colours to create a bespoke logo or corporate colour scheme. 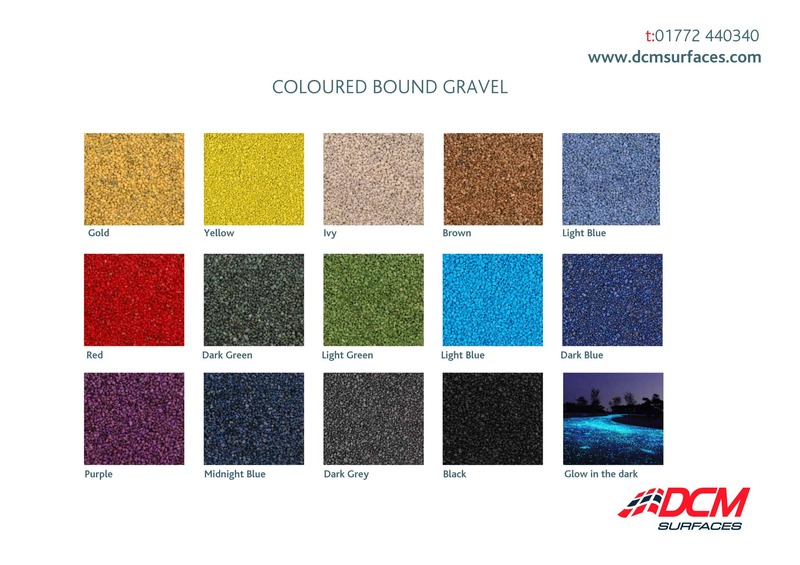 Coloured Bound Gravel is available in a variety of colours. For exact colour matches, please request a sample. Resin bound surfaces are intended to be used by normal pedestrian or vehicular traffic for which they have been designed. Protection should be provided wherever possible against abnormal damage. Heavy objects, such as waste skips, should not be dragged across the surface and protection should be provided during building and construction work to avoid unsightly contamination from oil, grease, cement and dirt. Spillage of solvents should be avoided as these will soften and damage the resin binder. Q. Resin Bound and Resin Bonded Gravel – What is the difference? A. 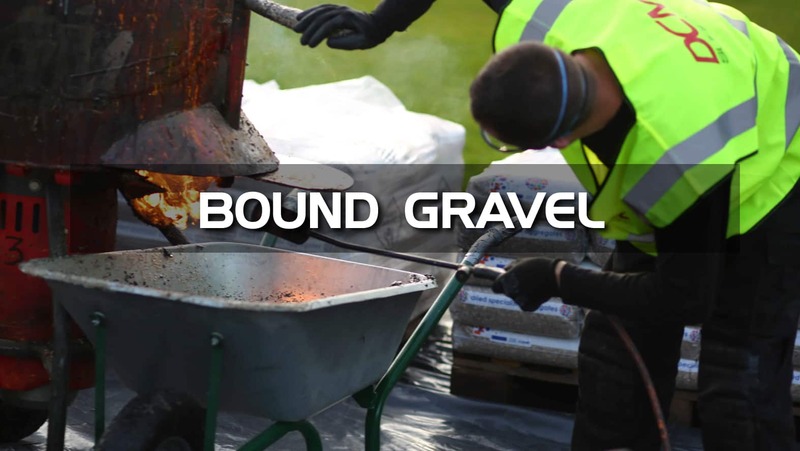 Bound: Aggregate is mixed with resin and then hand-trowelled into place to produce a surface that is smooth and porous. Resin Bound surfaces allow drainage of surface water and better environmental compliance. Bonded: A layer of resin is screeded onto a surface and then a fine aggregate is scattered over the top and rolled in. This produces a rough surface that is not porous.